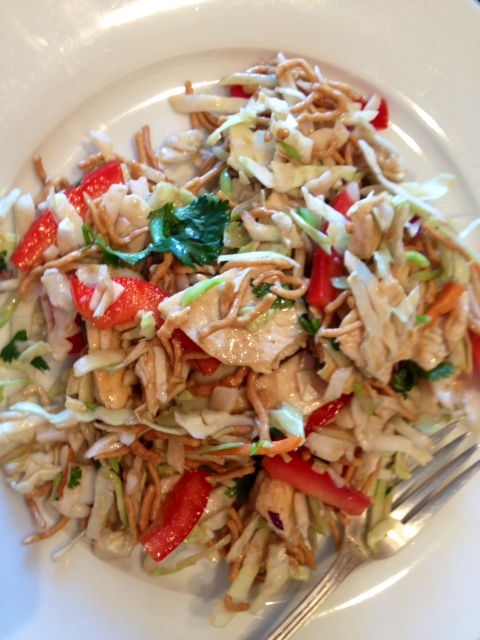 Chinese Chicken Salad Chow Down. 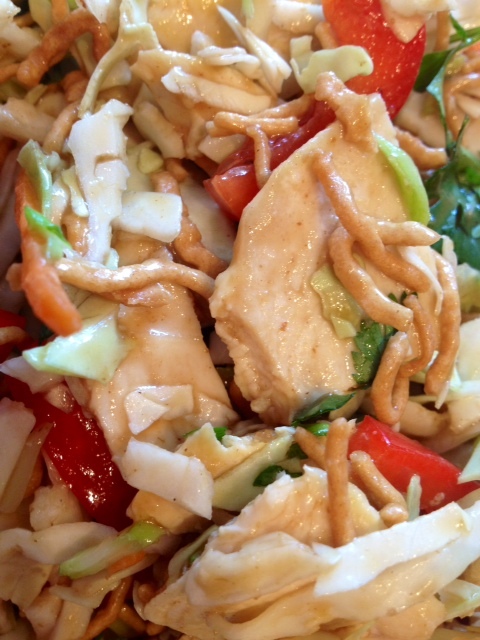 A couple of weeks back, I ordered a delicious Chinese chicken salad from a cafe near my office. As good as this salad was, it was $12 and as healthy as it appeared to be, I really had no way of knowing how the ingredients were prepared and I knew for a fact that the dressing was not reduced-calorie or fat. 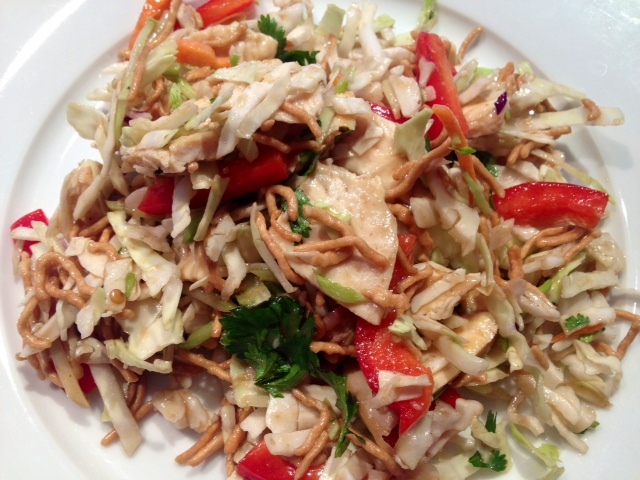 I decided to take it upon myself to create my own low-fat Chinese chicken salad that I could easily bring to work, and this was the end result! It tastes just as good, if not better, than the take-away salad I had ordered. It is so easy and yummy! 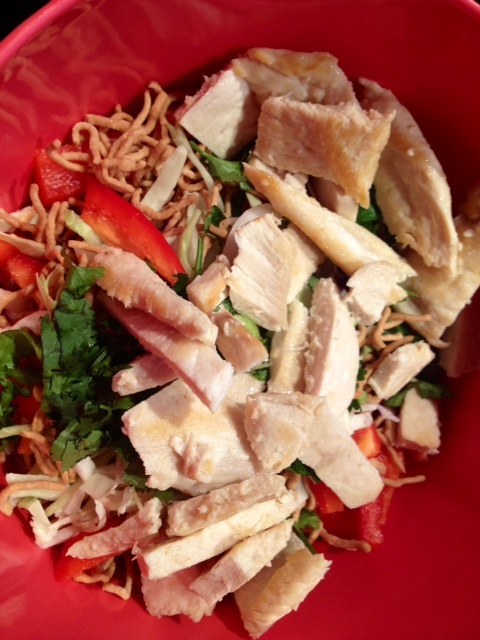 In a large mixing bowl, add the cabbage, broccoli slaw, red peppers, chow mein noodles, chicken breast and cilantro. 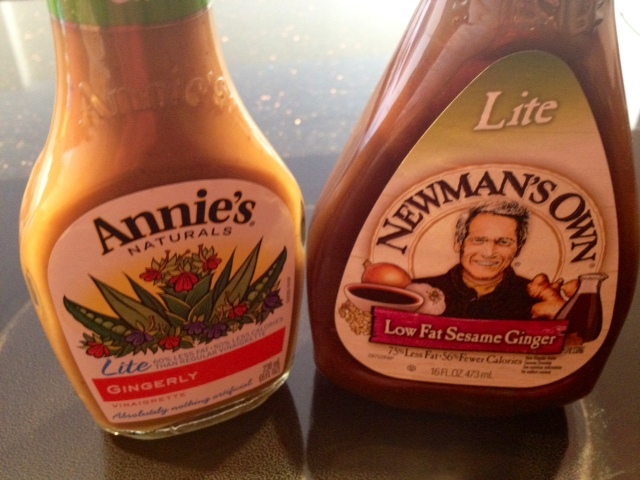 In a small bowl, mix the two dressings together to combine and then pour over the salad ingredients and toss well to combine all the ingredients. ← Mangia! Meatballs & Sausage.